Approaching a draft, there are always differing trains of thought as to whom a team should choose. A team has to analyze what their needs are and if they can realistically draft a player that will fill said need(s). This is especially true if you are holding one of the lottery picks. Teams picking in these first 14 slots usually have a plethora of needs to address. But for a championship contending team like the Oklahoma City Thunder, who have many of the necessary cogs already in place, a pick in the lottery can be the final piece of the puzzle to get the team over the hump. Drafting a final piece is not always guaranteed to get a team over the hump, though. In the summer of 2003, the Detroit Pistons had just come off a trip to the Eastern Conference Finals and also held the No. 2 pick in the upcoming draft, which was loaded at the top. Easy pickings, right? Get the 2nd best player available and you should be set for the next 5 years. But success and good fortune can sometimes make you think you are smarter than you really are. 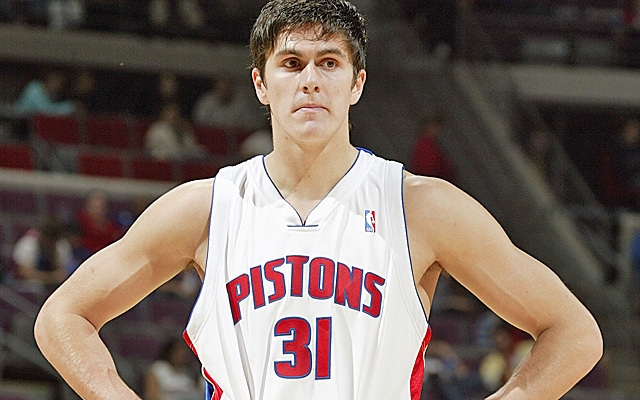 In a draft where the Pistons could have chosen any of Carmelo Anthony, Dwayne Wade, or Chris Bosh, they instead decided to go with the experimental Euro-project named Darko Milicic. Even though the Pistons won the championship the next season, it had nothing to do with Milicic, who was famously tagged as the “human victory cigar” due to the bulk of his playing time coming at the end of blowout victories. The Pistons went on to lose in the NBA Finals in the next season and played in 3 consecutive Eastern Conference Finals after that. Add that up, and in a 6 year span, the Pistons played in 6 consecutive ECFs, went to the Finals twice, and won one championship. 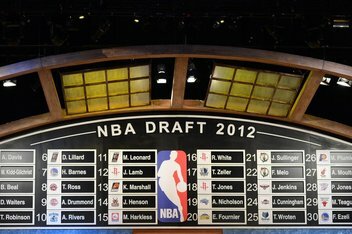 Nothing is guaranteed, but I think the number of championships would have increased if the Pistons had drafted one of the other players mentioned above. Granted, this draft is not as loaded as the 2003 draft was. But the Thunder find themselves in a position to draft a position of need, instead of having to pay for it through free agency or trade for it. There are probably two trains of thought for what type of the player the Thunder should draft with the 12th pick: either a defensive minded big man capable of developing some semblance of an offensive game or a scoring wing adept at making perimeter shots. 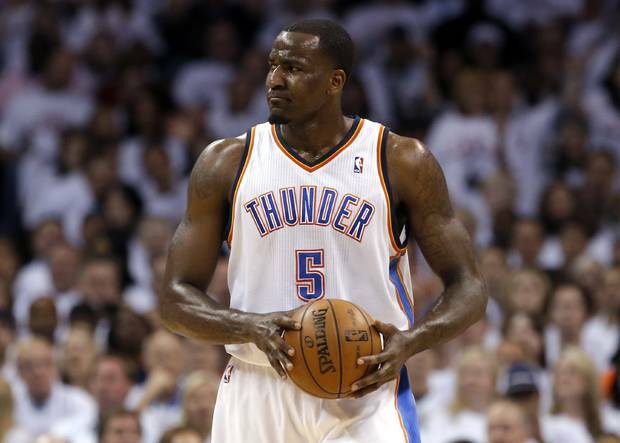 In other words, either a replacement for Kendrick Perkins or a replacement for James Harden. The big man pick is more targeted towards future success, while the perimeter wing would be for more immediate results. The conference finals and NBA Finals have given the Thunder a blueprint as to what they need for sustained success. 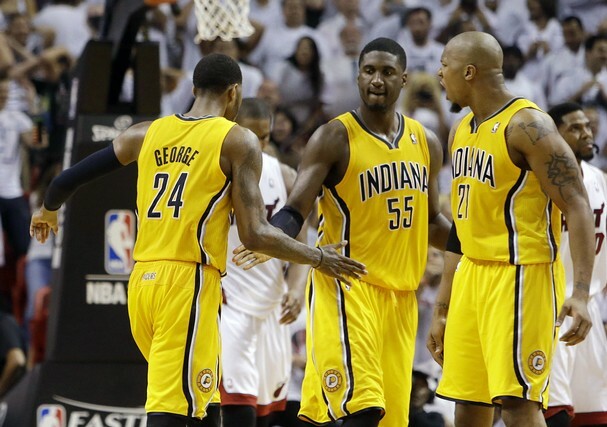 In the Eastern Conference Finals, the Indiana Pacers showed what two competent big men can do against the Miami Heat. David West and Roy Hibbert gobbled up offensive rebounds and scored in the paint, almost at will. In the Finals, the San Antonio Spurs have shown that playing the same brand of basketball as the Heat (dribble penetration and 3-point shooting) can befuddle and frustrate them, especially if the opponent is hitting 3-pointers at a 45% clip. Everybody knows I love crazy uncle Perk (Kendrick Perkins). For a person who grew up on 90’s basketball, Perkins’ style of play harks back to that physical era. But, truth be told, he laid a complete goose egg in the playoffs this season. He surprisingly had a better run last post season when he played with a torn groin and a torn ligament in his wrist. That Perkins has no semblance of an offensive game is a known fact. But that is usually masked by constant attacking nature of Kevin Durant and Russell Westbrook. When Westbrook went out with his knee injury in the first round of the playoffs, that lack of an offensive game led to the further stagnation of an offense that was already compromised. It wasn’t just that Perkins couldn’t get the ball in the basket, it’s that he was a walking turnover. He had a negative PER in the playoffs and was a liability not just on the offensive end, but also on the defensive end. I didn’t even know negative PERs existed. Needless to say, with 2 seasons left on Perkins’ contract, it may be time to start looking for his replacement sooner rather than later. Picking up a big man at this slot would be a pick for the future, as big men generally take longer to develop and no post player in this draft has that “ready to play now” look to them. Before deciding what type of big man could be drafted, it’s important to see what is already in the cupboard. Besides Perkins, the other starter is Serge Ibaka, one of the most versatile power forwards in the NBA. In addition to leading the league in blocks for the 2nd consecutive season, Ibaka also has a deadly midrange game that occasionally stretches out to the 3-point line. His next stage of development should be to learn a post move or two. Off the bench, Nick Collison is a heady post player who plays good defense, can score inside, and can occasionally hit a midrange jumper. The only negative with Collison is that he is getting long in the tooth and starting to show signs of that. Hasheem Thabeet is an average center who is just now learning how to contribute 10-12 solid minutes per game. Perry Jones III is still in the initial stages of his development, but has the physical tools to become a solid contributor. And Daniel Orton is probably the odd man out in the game of big man roulette. Any post player selected will be drafted with the intent to eventually be the starting center. The Thunder tried that 3 seasons ago with Cole Aldrich, but he never panned out. If the Thunder’s system remains similar for the next 3-5 seasons, a player with Perkins’ toughness and defensive chops, but better offensive potential would probably be the selection. Players that fall in that category would be Alex Len, Steven Adams, Mason Plumlee, and Gorgui Dieng. If the Thunder decides to go for an offensive-minded big man, look for them to select Kelly Olynyk or Cody Zeller. The Thunder have a little more flexibility here than with the center position. 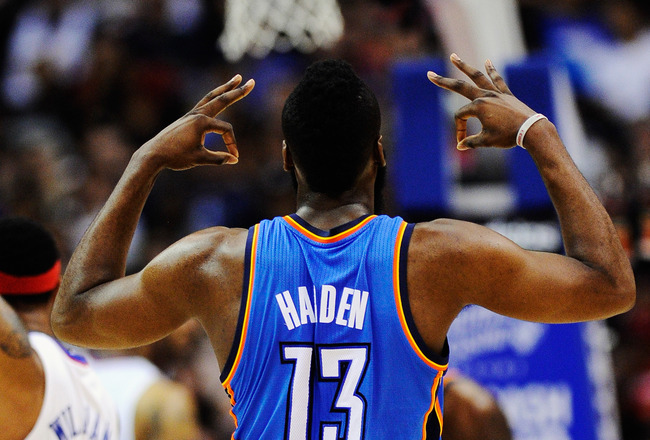 When the Thunder made the trade with Houston, they not only traded Harden, but also Daequan Cook. These floor spacers are very important when the bulk of your offense is dependent on two perimeter oriented players. The drive and dish becomes a lot more driving into defensive walls if the dishees aren’t reliable 3-point shooters, especially in the playoffs. Seeing as the NBA is becoming more of a drive and dish league, having penetrators and 3-point shooters is tantamount to a team’s success. It used to be that if you had a great big man, you were almost guaranteed a deep playoff run. That began to change with the elimination of hand checking. Once that happened, it unshackled quick wing players to have a more prominent role in the offense. No longer were defenders able to keep quicker players at an arm’s length, thus eliminating their speed advantage. Now, defenses had to converge on the quicker players, which opened up shooters on the perimeter, especially on the 3-point line. And, as any kindergartener will tell you, 3 is more than 2 any day of the week. Looking at the Thunder’s inventory when it comes to wing players, the Thunder already have two of the best dribble penetrators in the league, in Durant and Westbrook. Add to that Reggie Jackson, and the team has their fair share of attackers on the offensive end. What’s lacking on the team is the amount of shooters. Thabo Sefolosha has improved his 3-point shooting to the point where he’s effective, but his slow release make him a liability against teams with long defenders. Kevin Martin was, for the most part, an effective perimeter shooter, but his inconsistency and disappearing act in key games, proved to be a big problem for the Thunder. DeAndre Liggins is on the team for defensive purposes, and Jeremy Lamb was never given a chance to show his shooting chops on the NBA level, though he was very effective in the D-League. There are two choices for where the team wants to go with this train of thought. One choice is an instant offense type player off the bench. If this is the way the Thunder may be leaning, then look for them to choose CJ McCollum or Shabazz Muhammad. If the Thunder are looking for more of a complete player to eventually take over the shooting guard spot, then the options become Ben McLemore, Victor Oladipo, and Kentavious Caldwell-Pope. The Thunder will go into draft day with a couple players in mind and counter moves for each situation. 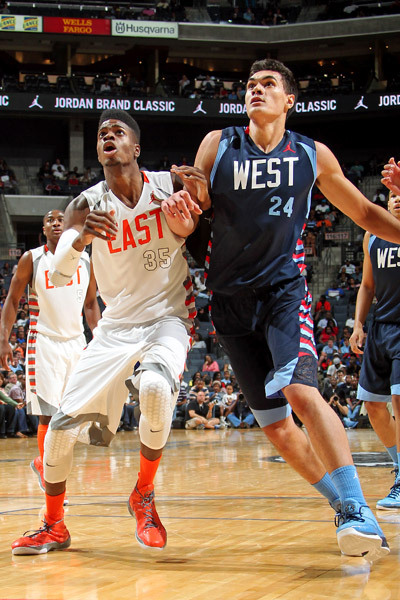 In my opinion, the Thunder are extremely high on about 5 players: McLemore, Len, McCollum, Adams, and Oladipo. I think it’ll all be dependent on where the players fall. If McLemore or Len slip down to the 4-6 range, I think the Thunder will throw every possible trade, not involving Durant, Westbrook, or Ibaka, at those teams in that range. The good thing is that the Thunder have options. Their high 2nd round pick affords them the possibility of obtaining an extra first round pick from a team looking to involve themselves in this year’s free agency. The ability to put a package together with multiple 1st round picks and young players can be very enticing to a team that is rebuilding. Soon enough, it’ll be draft day and Thunder GM Sam Presti will be able to put his plan into play.